Two young Oklahoma golfers fared very well in the finals of Drive, Chip and Putt contest at Augusta National Sunday. Ryder Cowan of Edmond finished second in the boys 12-13 age division, while Chase Hughes, 8, of Oklahoma City, placed fourth overall in the 7-8 age division. Cowan summed up his first visit to Augusta National in three words. “Best birthday ever,” said Cowan, 13. Cowan turned 14 on Monday. His father, Sean, served as his caddie and was also making his first trip to Augusta. Despite placing second, the competition got off to a rough start for Cowan. He pulled his opening tee shot left of the fairway, putting pressure on his second — and final — attempt. With pressure mounting, the Oklahoma teenager striped his second attempt 253 yards to place second in the driving portion of the competition. Cowan also placed second in the chipping event, while tying for fifth in putting. Matthew Vital, of Bethlehem, Pa., captured first overall. Cowan and his dad returned to Augusta National Monday for an official birthday celebration. As for next year, although Cowan will advance to the 14-15 age division, his goal remains the same. Nick Hughes had been to Augusta National on two occasions before the Drive, Chip and Putt National Finals — once for a practice round and the other a tournament day. None of those experiences, however, compared to Sunday. Chase, 8, placed fourth overall in his age division. He finished third in both the driving and chipping events before struggling on No. 18 green. Conner Ford, of Mount Vernon, Ky., placed first overall. Throughout Sunday, the elder Hughes made a point to remind his son of what was taking place. Hughes has one more year in the 7-9 age group and hopes to qualify for the 2020 National Finals. Last year, Hughes placed third — and was the low American — at the U.S. Kids Golf World Championship at Pinehurst Golf Resort. 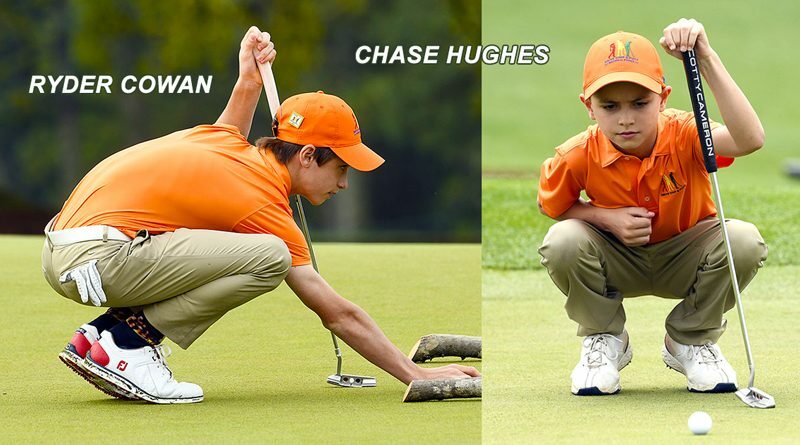 See complete coverage at the Drive, Chip and Putt website HERE.